Over the years I’ve grown to love exercising in the morning. It frees up my evenings, leaves me fewer excuses for skipping out on a workout, and helps me feel more alert throughout the day. The sense of accomplishment compounds throughout my day, giving me positive feelings that carry into client meetings and work sessions with my team. Research shows morning workouts can improve sleep, acuity, and productivity. At Optimity, we are tracking how it impacts business metrics and employee perception. However, just because I love morning workouts doesn’t mean I leap out of bed at the sound of my alarm, eager to exercise every day. I am not naturally a morning person, so I find it tough to head out for a run before the sun rises or attend a 6 AM burpee bootcamp. I’ve skipped my fair share of early workouts; however, with strategic planning, preparation, and positive thinking, I’ve also gotten quite good at not skipping a great workout to start to my day. If you’re wanting to become more of a morning exerciser, here are some of my top tips. Maybe they’ll help you too! 1. Ease into it. If you’ve never exercised in the morning before, don’t sign up for 6AM personal training sessions five days in a row. To start, schedule one morning workout per week. 2. Enlist a buddy. It’s a lot harder to skip a morning sweat session if you have someone counting on you to show up. No one wants to be that person who bails! 3. Before you go to bed, decide exactly what morning workout you will do. For example, instead of saying, “I will exercise before work tomorrow,” say “I will jog 2 miles and do 30 pushups before work tomorrow.” This allows you to budget just the right amount of time you’ll need to fit in your workout. It also prevents you from dozing back off to sleep while pondering what type of exercise you’ll do. 4. Give yourself a reward. When your alarm goes off, don’t dwell on how much you’d rather fall back asleep or how tired you are. Instead, give yourself something to look forward to. It can be a delicious breakfast sandwich or smoothie after the workout, a more-indulgent lunch to treat yourself, or even permission to get that item you have been eyeing for the last few weeks (that book, that gadget, or that shirt)! Working out in the morning isn’t for everyone, but I’m living proof that the non-morning person can live better with a little self-actualization at the beginning of each day. Hope this helps! Do you prefer morning, afternoon or evening workouts? 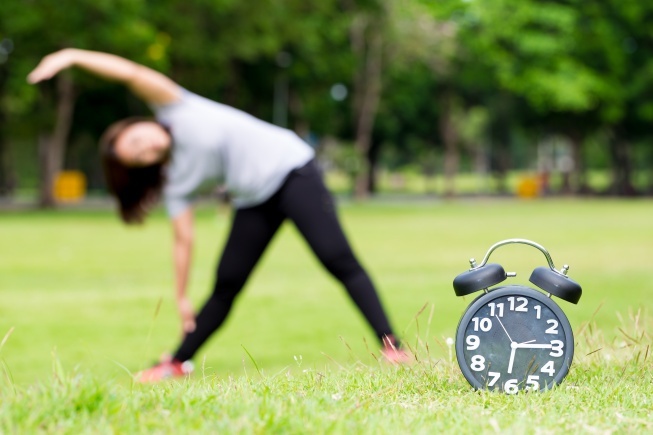 What helps you early exercisers get out of bed in the morning? Let us know down below. From cultivating greater awareness of self to relieving stress, meditation has numerous physical and mental health benefits. The practice conjures a sense of something related to spirituality, but is actually an extreme form of concentration that tones and strengthens the mind. It promises to promote inner peace and a positive outlook towards life. Given the countless problems that work and life hurl at us on a daily basis, and the impact they have on our minds, meditation can be an excellent way to appreciate promote inner peace and living in the moment. Even a few minutes of meditation regularly can be transformative. Here is a 2-minute meditation routine for beginners. First, find a quiet and peaceful place in your home or outside, where it is easy for you to shift your focus inwards. Sit in a comfortable position with your spine in a straight but relaxed position. When you sit in a peaceful space with good posture, you will be able to enjoy the process more freely and have a deeper sense of calmness and tranquillity. Concentrate on your breathing. Try to take long and deep breaths while you focus on slowing down your breath. You can also chant an uplifting phrase or word like “relax” while breathing in order to center your attention. Try to block all distracting sounds, paying full attention to your your breathing and the word you are chanting. Next, try to enter into a quiet state of mind, while remaining relaxed and mindful of your centre of gravity. Observe any feelings, thoughts, or physical vibrations that arise in your consciousness. Eventually, you will be able increase your concentration one session at a time. There is no set time to meditate, so you can start with 2 minutes daily and progress slowly. Let your comfort level decide what amount of meditation is right for you, but stay persistent in order to witness results. How Can Holistic Wellness Apps Lead to Habit Changes? We all know that mobile applications (apps) have the potential to help people increase their physical activity, but little is known about the action change techniques marketed in these apps. The most common techniques involve providing instruction on how to perform exercises, providing feedback on performance and goal-setting for physical activity. A class analysis revealed the existence of two types of apps, educational and motivational, depending on their habit change techniques. Mental health and habit change techniques tend not to be widely marketed in physical activity apps. Based on the available descriptions of the observed techniques in health behavioral theories, people may need multiple apps to maintain a healthy habit change. Mental health and habit change technology have fallen behind and the unique nature of mental health services can make it difficult to develop a technology that successfully intervenes in human behavior. However, with advanced research geared towards habit change and mental health, an increasing number of organizations are innovating in this space. Many symptoms of poor mental health are generally behavioral, and seeing as though most people now have smart phones at their disposal, access to technology that can monitor habitual patterns seems like an obvious next step. This technology can be used to assess patterns that are typical of a person who may suffer from mental health issues. Dr Uri Nivo explains how this new technology could benefit people wanting to change or monitor their behavior. With fitness wearables and other popular smart devices that help people track their physical activity and well-being, it only makes sense that there would be a specialized app to support habit change and mental health. Posted on July 10, 2018 July 10, 2018 Categories AllTags corporate wellness program, health, partnerships, wellness, wellness trendsLeave a comment on How Can Holistic Wellness Apps Lead to Habit Changes? Employee Engagement: Are Your Benefits Addressing the Main Issue? We had a great webinar in June to talk about employee engagement. I sat down with Optimity’s CEO, Jane Wang, to talk through how to engage employees in the workplace. You can watch the full webinar here. Here are a few key takeaway points from the webinar. What do your benefits look like? If it’s like most traditional benefits programs, it probably includes the usual retirement or pension plan, some health care coverage and paid time off. These are great, but it’s really only useful when you’re trying to attract employees to your organization and less so when it comes to retaining employees. In a study conducted by Mercer, “Inside Employee’s Mind,” survey results from over 4000 employees identified key aspects of a company that are valued by employees from the following choices: pay, benefits, careers, engagement, leadership, performance, and culture. The results showed that over 40% of employees are currently thinking about leaving their jobs, even though they offer benefits. What does that tell us? Well it just means that benefits packages aren’t strong enough to keep employees from leaving their jobs. Oddly enough, there are no real concrete studies that can testify that traditional benefits alone can retain and engage employees with their work. However, there is an abundance of evidence that support the value of workplace wellness programs. To be clear, benefits and wellness programs aren’t interchangeable as they provide two different purposes; however, you can easily incorporate wellness programs with your benefit programs. 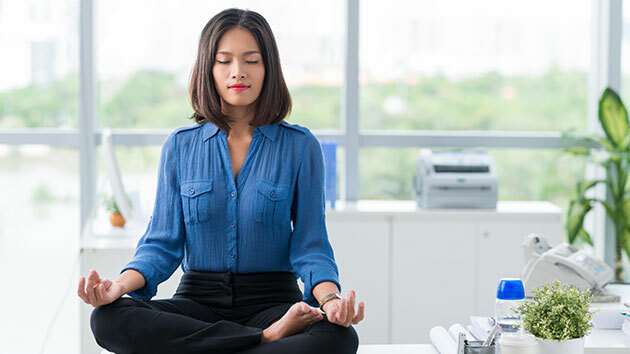 With the recent trends, an increasing number of companies are working with digital wellness programs to maximize the money employers are investing into the health and wellness of their employees. To put it blankly, benefits are essential for attracting but do little for retaining –wellness programs are where the real benefits comes from! So now you may be wondering: If benefits aren’t enough, what should I be doing to keep my employees healthy, happy and engaged with their work? You simply need to provide an effective workplace wellness program that engages your employees. When your employees are engaged, they have a strong sense of pride in their work and an innate desire to go beyond their regular duties and do more for the organization. Unfortunately, only 29% of employees are engaged in their work, 45% are not engaged, and the remaining 26% are actively disengaged. The following are 3 tips on getting the rest of your employees more engaged in their work. Encourage your employees to live a healthy lifestyle, which means that employees are getting the recommended amounts of exercise, sleep and nutrition in their life. A healthy employee is more productive, energetic, resilient, and less stressed. Wellness is not longer simply about the employees physical health. Help your employees build a habit of practicing holistic health topics they care about such as financial wellness and community involvement. Give your employees the opportunity to learn and develop new skills that are outside of their typical job function. Only 24% of employees feel that they have access to the learning and development skills that they need. Providing employees with the opportunity to learn and grow will help retain talent because you’ve engaged your employees by providing them with the ability to build their muscle for learning. 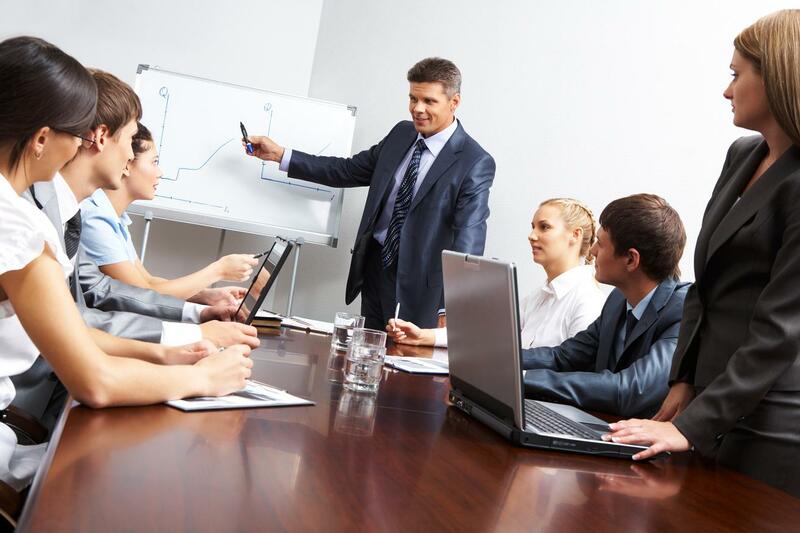 The best way to empower your employees is by providing leadership opportunities. This allow them to explore their capabilities without micromanagement, which often leads to employees disengaging due to a lack of trust and value their ability to make independent decisions. So as an employer it’s about time you give your employees roles that let them them have more responsibility and influence in their organization. Employee engagement is a crucial pain point for many organizations, so you are not alone on this mission. However, we’ve seen many organization successfully increase their employee engagement levels by turning to technology. With a digital wellness program, scheduling time for in-person events and neglecting your shift workers or remote workers are no longer problems. Participation with traditional in person events is significantly lower, and tracking your initiatives become tedious. However, with a digital approach, employees are provided with a personalized coaching tool that allows them choose which aspects of their health they want to focus on and when they want to do so. You get to include all segments of your population and increase social communication between coworkers. Technology allows for the gamification of wellness habits as well as simple tracking of progress and participation. With technology, you make the wellness experience smoother for both the employees and employers! Want to learn more on how to implement a successful wellness program that engages all your employees? Reach out to us at engage@myoptimity.com if you want to bring your average 30% engagement levels to over 70%. Posted on July 3, 2018 July 5, 2018 Categories All, General, Webinar RecapsLeave a comment on Employee Engagement: Are Your Benefits Addressing the Main Issue? Train At Home With World Cup Athletes! With the world cup upon us, it is very easy to slip into unhealthy habits with eating, drinking, and physical inactivity as you watch the game. Soccer players are actually some of the fittest athletes, running over 7 miles in a game while using extremely intricate footwork. Even if you don’t have the time to train like a soccer player, these simple workouts can help you stay fit while watching the game! As the soccer players make their way onto the field and the anthem is playing, take this time to warm up. Warming up helps get the blood flowing and your joints moving. You can do some simple exercises such as rotating your ankles, hips, and arms in circular motions or slowly jog in place to loosen up. In the first half of the game, use this time to get some strength training in. Do the following sequence of exercises for 15 reps each, followed by a 5 minute jog in your spot. That’s 1 cycle! Repeat for up to 4-5 times. Start with your feet a little wider than hip width and your toes pointed straight ahead. Push your hips back into a “seated” position (90 degrees) as you keep your knees wide and your chest up. Press into your feet and return to the standing upright position, squeezing your glutes at the top. Step forward with one leg, lowering your hips until both knees are bent at about a 90-degree angle. Make sure your front knee is directly above your ankle, not pushed out too far, and make sure your other knee doesn’t touch the floor. Keep the weight in your heels as you push back up to the starting position. Repeat with the other leg. To start, place your entire right foot onto a bench or chair. Press through your right heel as you step onto the bench, bringing your left foot to meet your left so you are standing on the bench. Lay on your back with your hands by your sides, your knees bent at a 90 degree angle and feet flat on the floor. Tighten your abdominal and buttock muscles and raise your hips to create a straight line from your knees to shoulders. Lower yourself back to the floor and repeat. Soccer players have to do a lot of running and jogging on the field, which is key if you want to outrun the other team and make goals. For both soccer players and non-athletes, cardiovascular training is great for preventing chronic illnesses such heart diseases, diabetes, as well as boosting your mental health. During the second half of the game, use this time to get your heart rate up by jogging around your house, skipping, doing squat jumps, and any other exercise that’ll help with bringing your heart rate up. Lie on your back and draw your left leg into your chest and keep your right leg straight. Standing, bend one leg and hold on to your ankle to get a stretch through your quadriceps. Hold for 30 seconds on each side.Repeat on the other leg. Stretch out one leg in front of you, with your other leg bent and the foot close to your groin. Bend forward over your outstretched leg, reaching for your toes. Your workout is complete and so is the game! Feel rewarded for getting a workout in, while still enjoying the game. Let us know down below who you’re rooting for this world cup! If you want to learn more about building stronger healthy micro habits, reach out to us at engage@myoptimity.com to learn more. Sign up for free to start leading a healthier life and claiming rewards! Posted on June 26, 2018 July 5, 2018 Categories Physical WellnessLeave a comment on Train At Home With World Cup Athletes! Over recent years we’ve taken great leaps with mental health as it slowly becomes destigmatized. However, this is not the case for many working professionals, as it is estimated that over 1.3 million workers suffer from mental health conditions. That’s one too many! Like most chronic illness, there is much that can be done to prevent mental health. Before diving in deeper into preventative steps for mental health, let talk about the basics. Quite frequently, the terms “mental health” and “mental illness” are used interchangeably. What is mental health? Well, mental health is our mental well-being, emotions, thoughts and feelings. It determines our ability to solve problems and overcome difficulties, how we perceive our social connections and the world around us. However, mental illness is is an illness that affects the way people think, feel, behave, or interact with others. There are many different mental illnesses that show different symptom, impacting peoples’ lives in different ways. It is important to address mental health, especially in the workplace. As an employer it is your duty to foster a health and positive environment. In turn, your employees work productivity will increase and not only create a sense of wellbeing and accomplishment, but also help the company’s profitability. As a whole, mental illness can have a significant impact on employers in the form of loss of productivity, absenteeism, presenteeism, disability and medical costs. The numbers are staggering: Mental health issues cost employers an estimated $50 billion a year. Half a million employees miss work because of mental health each week and one in three workplace disability claims are related to mental health. Despite the increase in mental health awareness and popular movements like Bell Let’s Talk, there are still many people suffering in silence in the workplace. As employers, when you contextualize these numbers and the potential impact it can have on your business, you will realize that some serious action needs to be taken to keep these costs at bay. As we all know the benefits of promoting physical health in the workplace, offering support for mental health is just as important. Imagine the outcomes it can have on your employees but also the employers! It will enhance any existing organization culture you’ve created in the organization and increase a deeper understanding of mental health issues into the workplace. Mental health is a crucial concern for workplace health promotion. 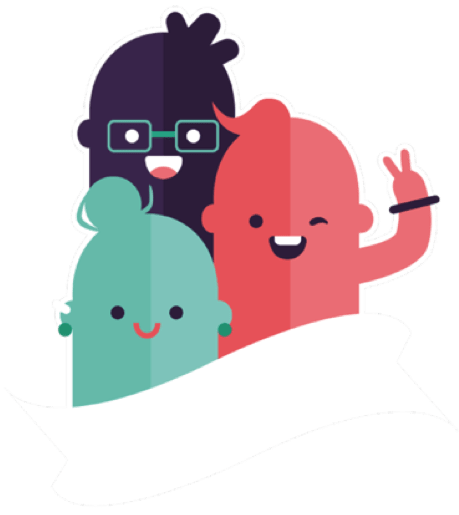 At Optimity, we have helped many organizations tune into the importance of mental health and make adjustments to their workplace wellness approach, executing initiatives that will help support their employees. Positive thinking doesn’t mean being happy about every situation that happens. It is unrealistic to constantly view unfavourable events such as the loss of a loved one or an argument in a positive light. When someone says to have a positive mindset, they are in reality suggesting healthy thinking: Viewing the world around you in a balanced manner and not with coloured lenses. Why is positive, or “healthy” thinking so important for your mental health? Your interpretation of a situation can be distorted as you focus solely on the negative aspects of a situation, which ends up making you feel worse. This unbalanced thinking is known as “thinking traps”. What are common thinking traps? Predicting that something bad will happen, without any evidence. Seeing things as only right or wrong, good or bad, perfect or terrible. Those who look at situations as blacker white will always see minor issues as a huge failure. I wanted to eat healthier, but I just had a piece of cake. I’m such a failure, I might as well eat the whole cake now. A strategy to help separate your thoughts from the actual events is asking yourself questions when faced with a difficult situation. Examine the evidence: Try to find evidence against the thought. If you make a mistake at work, you might automatically think, “I can’t do anything right! I must be a terrible employee!” When this thought comes up, you might challenge it by asking, “Is there any evidence to support this though? Is there any evidence to disprove this thought?” You might quickly realize that your boss has complimented your work recently, which doesn’t support the idea that you’re a bad employee. Double-standards: Ask yourself, “Would I judge other people if they did the same thing? Am I being harder on myself than I am on other people?” This is a great method for challenging thinking traps that involve harsh self-criticism. Social support play a strong role in mental health. Those with a weaker social support system tend to report higher levels of depression. The lack of support can make an individual more vulnerable to the onset of mental health issues. It is best to maintain positive relationships with those around you, like your family, friends, and especially your colleagues. Avoid being alone if you are experiencing a difficult situation such as bereavement or a job loss. Ask for support, as colleagues can be great pillars of support, especially when you spend over 40 hours at work with these same people. Other ways of maintaining your social circle is to engage in leisure activities that you can enjoy and find time to indulge in them. We all need people we can depend on during both the good times and the bad. Maintaining a healthy social support network is hard work and something that requires ongoing effort over time. Research has pointed to the importance of physical health for maintaining positive mental health. Engaging in a healthy diet, exercise, and adequate sleep is essential for optimal health, including mental health. Exercise helps release endorphins, which is the “feel good” hormone. Even something as simple as a brisk 5 minute walk to climbing the stairs at work will help increase mental alertness and improve mood. A nutritious diet is crucial to a healthy and balanced lifestyle. What does a healthy diet look like? It is one that includes the right amounts of proteins, fats, carbohydrates and essential vitamins and minerals. A healthy diet is a great way to maintain your mental health. Sleep more, yes that’s right, sleep! Lack of sleep impacts both your physical and mental health. A lack of sleep can make it difficult to regulate emotions. One strategy to increasing sleep time is to get into bed at least 10 minutes early, and gradually work your way up until you can reach an optimal amount of sleep. Mental health is one of the fastest growing issues in workplace health promotion. This year we saw more organizations consistently making adjustments to their thinking and execution in supporting their employees. If you want to learn more about implementing a successful wellness program that supports your employees mental wellbeing, be sure to check out the full webinar where we go into full depth on the importance of mental health in the workplace. If you want to learn more about implementing a comprehensive wellness program that benefits your employees mental health, making them healthier and happy, leading to better gains for your organization, please reach out to us at engage@myoptimity.com.